The project director and co-applicants of the Words in the World project form the Canadian Leadership Team. They are recognized leaders in mental lexicon research, covering a diverse set of backgrounds and research interests. Gary Libben, Brock University, is Director of the Words in the World SSHRC Partnership Training Grant. He is a Fellow of the Royal Society of Canada and was Founding Director of the Centre for Comparative Psycholinguistics at the University of Alberta. 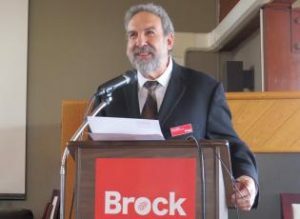 He has been President of the Canadian Linguistics Association, and was Vice President Research at Brock University (2011-2016). Dr. Libben’s research focuses on the representation and processing of words in the mind. 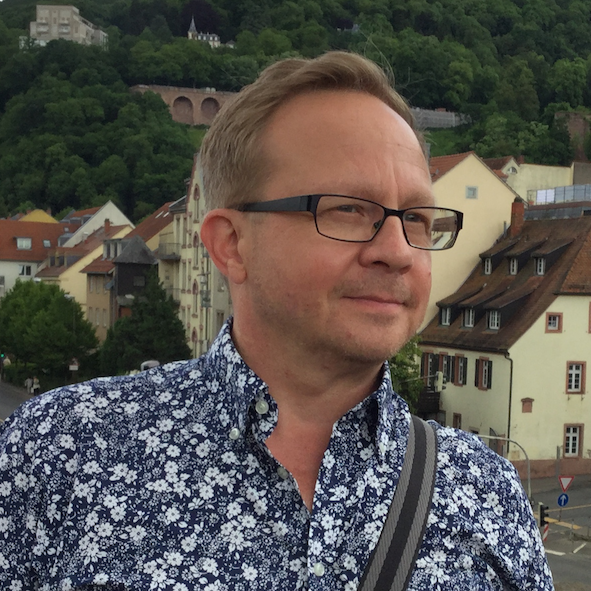 He has published research on the psycholinguistics of lexical processing across languages and he has been involved in the development of new psycholinguistic methodologies for studying language processing across age groups, language groups, and situational contexts. Gary Libben est directeur du projet de partenariat (programme Talent) SRSH Words in the World. Il est membre de la Société royale du Canada et a été directeur fondateur du Centre de psycholinguistique comparative de l’Université de l’Alberta. Il a occupé le poste de président de l’Association canadienne de linguistique et celui de vice-recteur à la recherche de l’Université Brock (2011-2016). Les recherches du Dr. Libben sont axées sur la représentation et le traitement des mots au niveau cognitif. Ses publications portent sur la psycholinguistique du traitement lexical à travers les langues et il a contribué au développement de nouvelles méthodologies psycholinguistiques pour l’étude du traitement langagier en fonction de l’âge, de la langue et du context situationnel. Lori Buchanan is a Professor of Psychology at the University of Windsor. She was a Tier 2 Canada Research Chair in Psycholinguistics for ten years and was the Associate Dean of Research and Graduate Studies for her Faculty for nine years. Her research interests include normal and impaired language processes, normal and impaired memory processes, age-related cognitive impairments, and probability-related descriptions of single words. She has published extensively on language processes and memory processes and the connection between them, particularly with respect to the extraction of meaning and how loss of the ability to access meaning or disconnects in meaning agreement can impact communication and quality of life. This research has been supported by the Canada Research Chair Program, SSHRC, NSERC, SHARCNET, OCE, CFI and other sources. 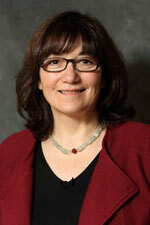 Gonia Jarema is a co-investigator in the Words in the World SSHRC Partnership Training Grant and represents two of its partnering organizations, Université de Montréal and the Institut universitaire de gériatrie de Montréal (IUGM). Dr. Jarema is Professor of Linguistics at the Université de Montréal, specializing in psycho- and neurolinguistics. At the IUGM, she directs the Mental Lexicon laboratory and headed the Language and Cognition Unit over a period of 11 years. Her main interests lie in morphological processing from a cross-linguistic perspective. She works with multilingual populations and with persons experiencing language disorders. Dr. Jarema is a member of the Royal Society of Canada and she has been Director of an SSHRC MCRI project on the Mental Lexicon. Gonia Jarema est cochercheuse dans le cadre du projet de partenariat (programme Talent) CRSH Words in the World et représente deux de ses partenaires, l’Université de Montréal et l’Institut universitaire de gériatrie de Montréal (IUGM). Dr. Jarema est professeure de psycho- et de neurolinguistique à l’Université de Montréal. À l’IUGM, elle dirige le Laboratoire lexique mental et a assumé la direction de l’Unité langage et cognition pendant 11 ans. Elle s’intéresse tout particulièrement au traitement morphologique dans une perspective translinguistique. Elle oeuvre auprès de populations multilingues et auprès de personnes présentant un trouble du langage. Dr. Jarema est membre de la Société royale du Canada et a été directrice d’un projet SRSH/GTRC portant sur le Lexique mental. Juhani Järvikivi is a Professor of Linguistics specializing in psycholinguistics at the University of Alberta. He is the Director of the Centre for Comparative Psycholinguistics (CCP), a major venue of experimental research in language processing in North America, and the site of STEP (Spring Training in Experimental Psycholinguistics). He studies language processing, with a focus on lexical and sentence/discourse comprehension, and has a general interest in spoken language processing. He is currently interested in investigating how young children and adults process reference across the life-span, given the time constraints of normal conversation, and how this is modulated by affect, social cognition, and personality traits. Eva Kehayia is Associate Professor in Psycho- and Neurolinguistics at the School of Physical and Occupational Therapy, at McGill University, and is the Scientific co-Director of the Centre for Interdisciplinary Research in Rehabilitation of greater Montreal (CRIR). This centre is affiliated with McGill University, the Universities of Montreal and Quebec at Montreal. Her research focuses on three areas: 1) the study of the representation, organization and access of language in unilingual, bilingual and multilingual individuals, 2) the study of language breakdown in acquired and degenerative language disorders and 3) the impact of language disorders on the individual’s everyday life and activities. Dr. Kehayia co-leads the FRQS funded Strategic Development Project entitled: A rehabilitation living lab: creating enabling environments for social participation and inclusion for individuals with physical, sensory and cognitive limitations (http://www.crir-livinglabvivant.com/index.html). She has been funded by SSHRC, FCAR, FRQS, MSSS, OPHQ, CIHR and REPAR. 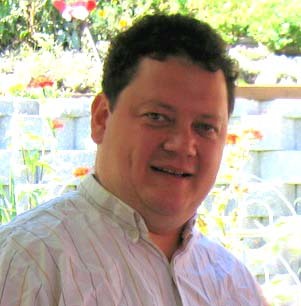 Victor Kuperman is an Associate Professor of Linguistics and the Canada Research Chair in Psycholinguistics at McMaster University, with expertise in experimental psycholinguistics and corpus linguistics. 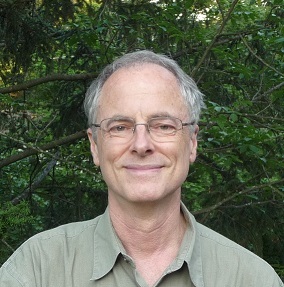 He has published extensively on production and comprehension of complex words; individual variability in reading comprehension and its low-level physiological underpinnings; sensorimotor and emotional underpinnings of language comprehension; and statistical methodology of experimental research. He is the founding Director of the Reading Lab, which focuses on acquisition of literacy and reading comprehension in proficient and struggling young adult readers. His research has been supported by SSHRC, NSERC, CFI, NIH and by provincial funding. Sid Segalowitz is a Professor of Psychology and Neuroscience at Brock University, and is the founding (in 2007) and current Director of the Jack and Nora Walker Centre for Lifespan Development Research, as well as the Director of the Cognitive and Affective Neuroscience Laboratory. His research has broadly addressed cognitive and affective psychophysiology across the lifespan, with a research focus on methodological innovations in EEG and ERP. His studies have used ERPs to detect early automatic responses involving face detection, language processing, and performance monitoring. His research has been supported by NSERC, SSHRC, CIHR, CFI and other provincial, national and international agencies.